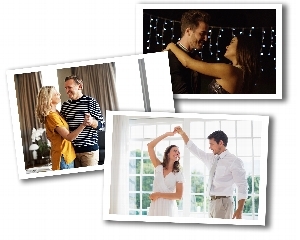 Ballroom Dancing, Salsa, Swing and other forms of partner dance have rapidly grown in popularity over the past decade. Every month, we help thousands of adult dancers find quality dance lessons through our locator service - making it the premier service of its kind! You can search for studios by city and state or you can fill out our customized "Dance Requests" form offering you access to a network of hundreds of quality studios, instructors, camps and coaches ready to help! At AccessDance we go beyond just connecting the student with the instructor we also carry the latest news, events, workshops, competitions all based on your city and state. Top studios and instructors agree that AccessDance is one of the most effective recruiting tools available - potential students look here first. Karl Weaver said "beginning classes for a couple to engage in a new hobby and healthy activity. Noah Heridia said "I'm looking for an affordable class for learning how to tango. Jackie Gipe said "Mostly country line dancing, but I love all kinds!! Dance Pizazz is Growing & Looking for Experienced Teachers! Get Social With Us! - Connect with Crown Jewel of Dancesport on Social Media.